Today Queen Bee Becca turns one! I've been blogging a whole year!? It feels like it's flown by and I've enjoyed every single moment, so here's what I've learnt along the way! I can't believe I've been blogging a whole year. I remember the day I pressed Publish on my very first post, I was so nervous! Blogging has been an amazing experience for me and I feel like it's given me so many opportunities I never would have been able to experience without it. It's been hard work and there's been times I've wanted to give it up because I was too tired to write a blog post, or edit photos but I'm honestly 100% happy I've stuck with it and I'm still here today. In the year I've been blogging I've worked with some incredible brands and met some amazing people, Bloggers and Vloggers. I've had the chance to go to events I'd have never of been invited too before all because I put in some hard work! I've always been interested in social media but over the last year I feel like I've really learnt about how to use it. From marketing and SEO to analytics and traffic, blogging has not only given me opportunities but help increase my knowledge and further my education. I've made targets for my tiny slice of the internet and utterly smashed them, it's even helped me grow my confidence by taking me out of my comfort zone. It's given me the platform to talk about my own insecurities and help others who have the same. Basically, I bloody love blogging. I utterly adore the community, the processes and the hard work, so I'd just like to say a massive thank you to every single person who's ever clicked on my blog, left a comment, spoken to me on social media, emailed me, collabed with me, given me an opportunity, the brands who have worked with me and to everyone I've come into contact with in the last year. It's been a total whirl wind and I cannot wait for another year of it! 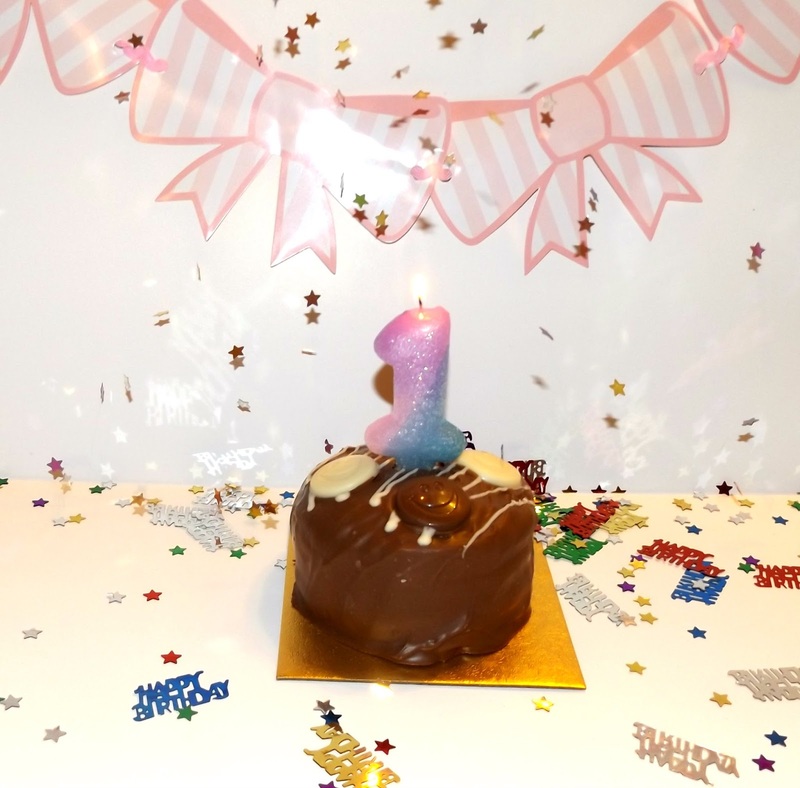 Happy blog birthday to you! The time goes so fast, doesn't it? I am coming up to five years in January!